Go gutsy! You need these brassy and bold 15 multi-colored shots of audacious awesomeness to ratchet up the spirit of your back yard display! 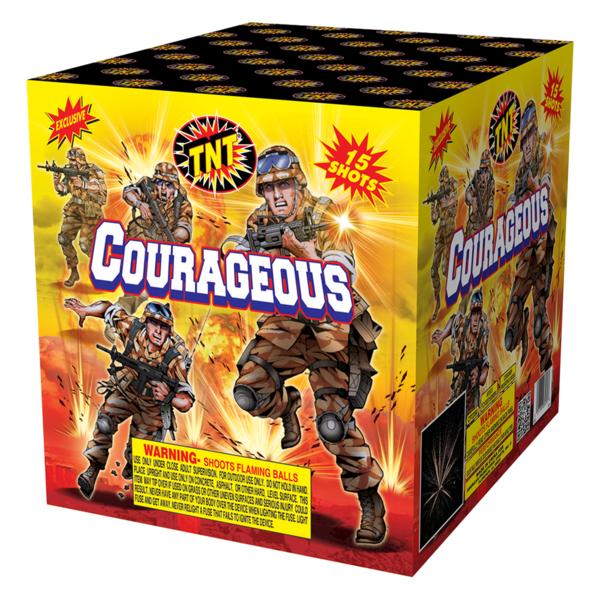 It's 500 grams of dashing, dauntless, and daring fireworks fun!